Legacy storage systems were never meant to scale to the size of modern data sets. 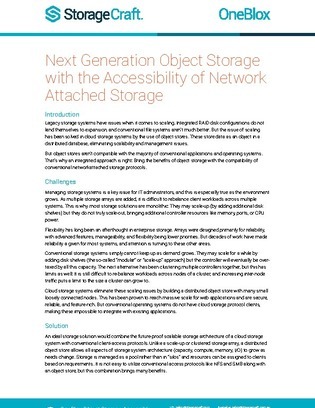 Cloud-based object storage is capable of handling this capacity, but unfortunately, these systems often aren’t compatible with many applications and operating systems. There is hope however. Inside, learn how a cloud-object system integrated with NAS protocols can grant you the flexibility and scalability today’s data demands.